Typhoon YAGI still has a biased distribution of clouds, and its intensification is stopped. The focus here is more on the Meiu front in north of the typhoon, and how much rain it will bring about. Excessive rain is of course not desirable, but the smaller amount of rainfall than average so far already impacted the availability of water, especially for agriculture. 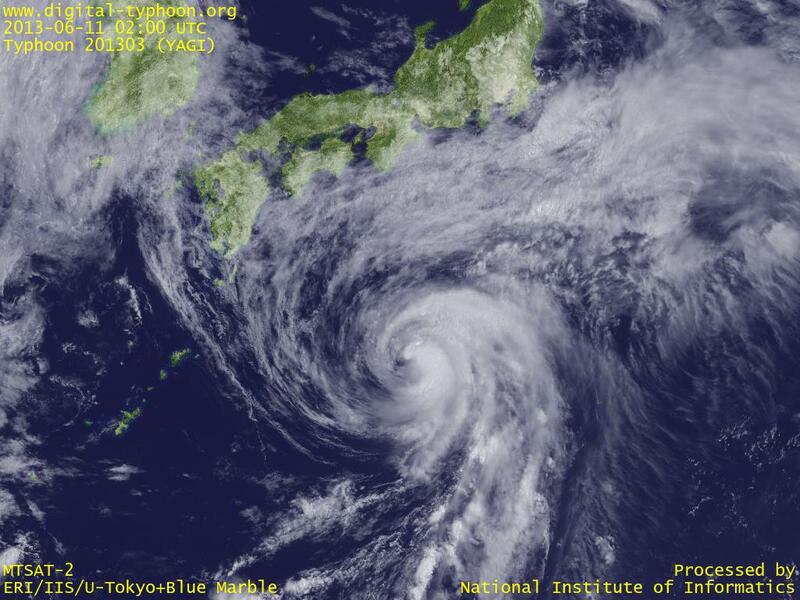 Moderate amount of rainfall is desirable, so the amount of rainfall is an important effect of the typhoon. Typhoon YAGI does not have thick clouds around the center, so it hasn't developed so far, but it looks the spiral shape is relatively strong for this intensity. The front, now in north of the typhoon, will also move northward as the typhoon is approaching Japan. 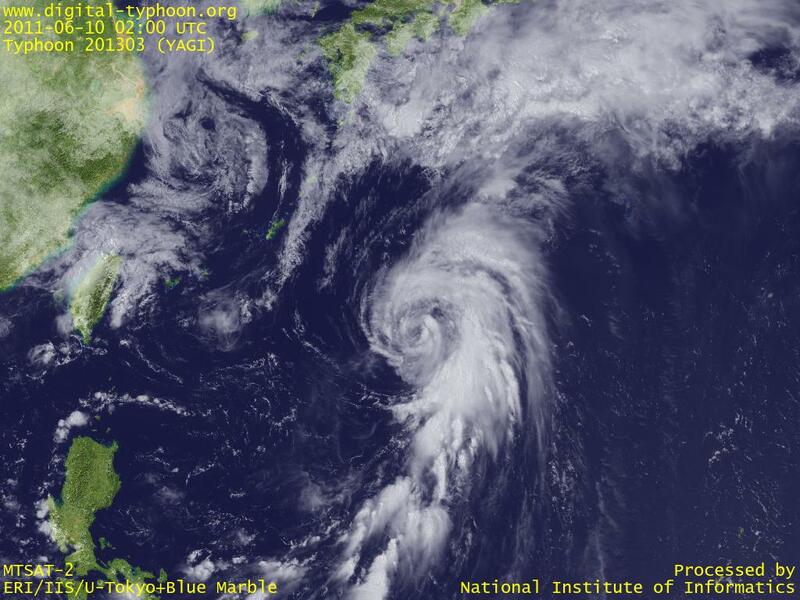 Typhoon YAGI was formed in east of Philippines. According to five-day forecast from Japan Meteorological Agency, it is forecast to pass in the east of Minamidaitojima and move closer to the western part of Japan. Another concern is if it gives impact on the rainy season of this year, in which the amount of rainfall has been less than normal.